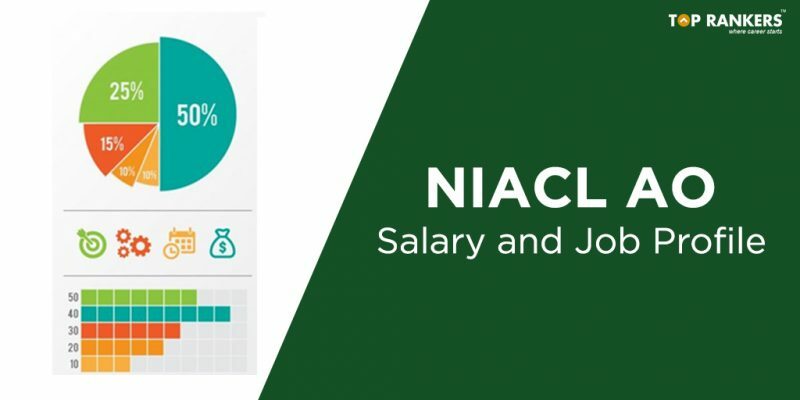 What is the Salary Structure of NIACL AO? NIACL Administrative Officer Salary Structure – Check the detailed NIACL AO Salary structure and in hand salary of AO in New India Assurance Company Ltd. Know the NIACL AO Job Profile and duties before applying for the post. Candidates planning to appear for the NIACL AO recruitment must be wondering what could be the salary of an Administrative officer in New Indian Assurance Company. It is obvious of you to feel eager about the job profile and pay scale of AO for NIACL. In this article, we have shared the complete salary details of the Administrative Officer for both Generalists and Specialist Posts. Being one of the esteemed insurance in India, New India Assurance provides a good pay scale along with attractive perks. Therefore, with good efforts, you might also be one of the administrative officers at NIACL. Scroll down to check more details about the NIACL AO Payscale. The other allowances provided to an Administrative officer are: DA, HRA, City Allowance, Transport Allowance etc. Taking all these into consideration, the Gross Pay of a NIACL AO is Rs. 51,000/- per month. Apart from these, there are many additional perks like accommodations, reimbursements, medical facilities, loans and advance payments etc. SO, on total, you can expect the average Annual NIACL AO Salary is Rs. 6.5 Lakhs per annum. The Generalist officer shall be in-charge of supervision of tasks like the issue of insurance, claim settlements, risk management. Apart from these, he/she shall also be responsible for supervision of the assistants working under them. The officer shall be entitled to take care of the policies, verification of risk proposals and ascertain the processes while reclaiming by customers are processed. The Generalist AO are liable to a probation period of 1 year after joining NIACL. Thereafter, they have to appear for an internal exam conducted by Internal Institute of India. Besides, they also have to approve a bond of minimum 4 years of service with the company including the probation period. During this period, the officer can be posted or transferred to any region as per the needs of the company. The role of Company Secretary is to see that the statutory and regulatory policies are followed and the company proceedings take place accordingly. Besides, The officer is also to take care of that the decisions taken by the board of directors are being followed. The finance, accounts and all billing procedures take place under the supervision of Finance and Accounts Officer. All tasks like annual finance record, dispensing refunds, clearing pending bills of customers, interaction with tie-up agencies regarding pending due accounts etc are to be taken care of by the Officer. Above all, preparing monthly balance sheets, yearly records, planning yearly budget also comes under the job role of a Finance and Accounts officer. The duties of a Legal Officer at NIACL includes handling all the legal matters of the Company. Help and represent the Company, when facing legal issues is the major contribution. Apart from this, the officer also prepares all law-related documents, supervise the authenticity of all Agreements and contracts signed by the company. So, this is the complete NIACL AO Job Profile. The probation period and Contract Period of the Specialist Officers is the same as the NIACL AO Generalist Officers. The NIACL Administrative Officers join the company as First Stage Entry level Officers. Therefore, there is always a chance for good career growth. Under normal process and on the basis of seniority, the officers can avail promotions in 5 years. However, for early promotions, candidates have to appear for some internal insurance exams and they can get a promotion within 3 years gap. Finally, you can conclude that the position of AO at NIACL is a very good opportunity to have a stable future. The NIACL AO Salary as well as the job profile is the best in insurance industry. Apart from these, there is no such intense work pressure to AOs. They have to work 5 days a week at normal timings with a perfect work-life balance. Hence, we hope that all these information on NIACL AO Job Profile and NIACL AO Salary Structure will be very helpful for you to understand the posts. Therefore, it can encourage you to give your best efforts to clear the exam and secure a post for yourself. Wish you all the best.